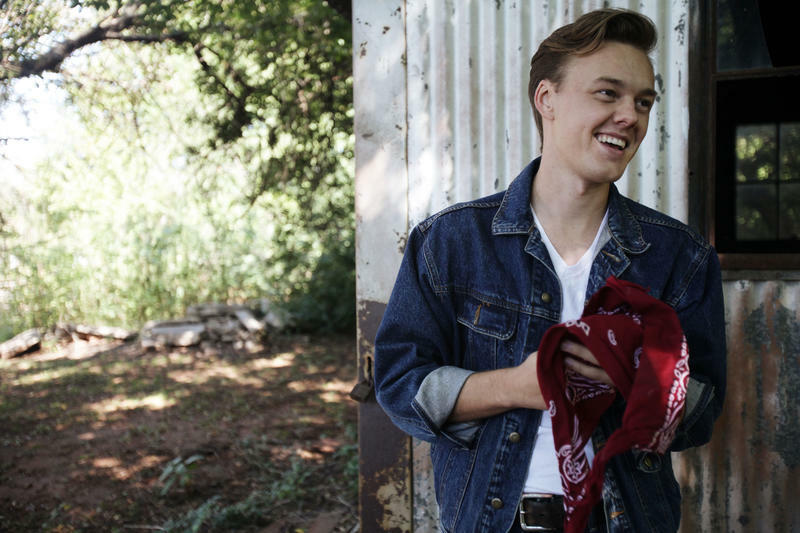 Parker Millsap is an Americana singer from Oklahoma with a powerfully raucous, rootsy sound. His new album is The Very Last Day. Melissa Block: Let's talk about your song "Hades Pleads." I think as far as versions of hell go, and brimstone, that's kind of a fun version. Where did it come from? 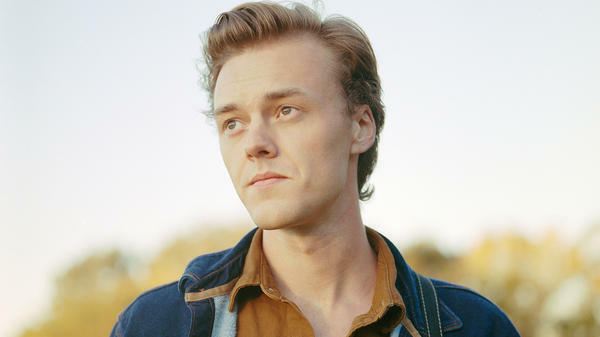 Parker Millsap: I'd kind of started reading into Greek mythology, and I was fascinated by the story of Hades and Persephone and how that came to be. And I just thought, "All right, sit down and try to write a song about it." You were raised in the Pentecostal church. You were young, I think, when your parents decided to join that world. What was going to church like for you? It was just part of life. It's what you do. And for me, it's where so much of my memories of music come from. I'd play guitar in church; from the time I could play three chords I was down in the front. I wasn't plugged into the speakers, but they would let me sit down there and learn the chords to the songs. And through that — you know, singing hymnals and stuff — I was really introduced to the folk process, because the hymns and the things that we were singing were old songs that dead people had wrote. I got comfortable with that idea pretty early on, and how songs evolve. Was there music in the home? Oh, always music at home. My parents are both avid music listeners, and through them I found old blues. That really kind of brought it all back home to me, because to me it sounded so much like the gospel music that I was singing on Sundays — but it was about the devil instead. I wonder if your experience growing up and making music in church unleashed you in your singing. Did it free you in some way? Yeah, in a sense. When you're singing in a congregation, you're not so self-conscious — you're just singing. And when you're singing in a congregation at church, the reasons that you're singing are kind of different, you know? You're not singing to impress somebody; you're not singing to win American Idol. You're singing as a spiritual thing. And so, there was always that connection for me: that music is spiritual, and that there's something about it that's sacred even when it's not a sacred song. So I think it had a lot to do with that, just not being self-conscious while you're singing. There are times in these songs when you definitely let loose. You just go for it! [Laughs] Nobody's going to see you! Yeah, just going for it. There's nothing like being on a stage and throwing yourself out there, when you go for it and you hit it and then people respond. You have separated from the Pentecostal church, but there are still lots of themes of faith and the Lord and the Bible that are all through these songs. I'm thinking in particular of the last song on the album, "Tribulation Hymn." The idea for that song is just kind of the same premise of that book series, Left Behind. Left Behind -- is that like the rapture? Yeah, kind of. According to the Bible, what's going to happen after the rapture occurs and everybody who was saved goes to heaven — for a long time, I really was concerned about that. I would be at my house on a weekend or something, and then I'd walk through the house and everybody would be outside. [Maybe] they'd be folding laundry, so there'd be some laundry sitting on the table, and I would think, 'Oh, the rapture happened and their clothes are left behind.' When really, everybody was just outside talking to the neighbors or something! It was a very real fear I had as a child. You're still really young — you're 23. I wonder if there's somebody you've followed, whose career you look at and think, "That's who I'd like to be. That's a path that I can see myself on." I have strange heroes. My answer to this question, career-wise, is always Howlin' Wolf. Because he taught himself to read, and taught himself to manage, and taught himself how to do all these things while being a performer and songwriter on top of all of it. He's a real do-it-yourself kind of guy. I always admired that. And he made great music. 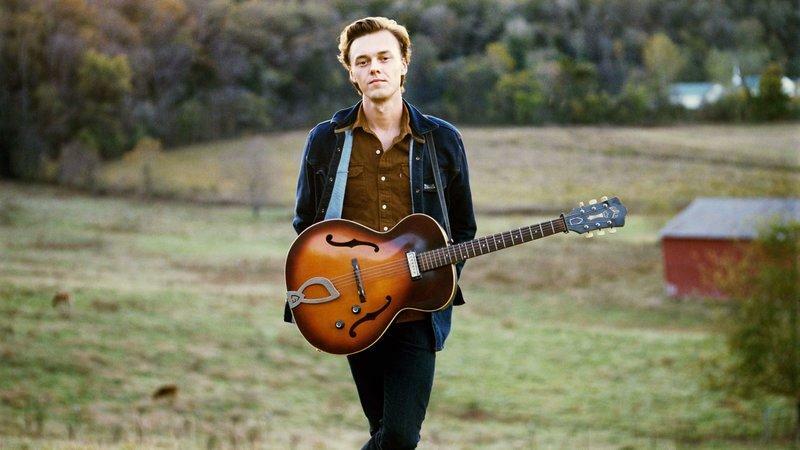 Singer Parker Millsap has a voice that grabs you and doesn't let go. PARKER MILLSAP: (Singing) I'm going to take you to my house on the (unintelligible) along that chain going clickety-click. I'm begging like - sugar, it's - I'm begging like this. I'm saying (panting). BLOCK: Parker Millsap is just 23, from a small town in Oklahoma. He was raised in the Pentecostal church. MILLSAP: (Singing) I want to take you to my (unintelligible), down in the belly of the Voodoo machine. I'll pick you up, darling, in by black limousine. BLOCK: That's the song "Hades Pleads" from Parker Millsap's new album "The Very Last Day." And Parker joins me now from Nashville. Welcome to the program. MILLSAP: Well, thanks for having me. Glad to be here. BLOCK: I think as far as versions of hell go (laughter) and brimstone, that's kind of a fun version that you have right here. MILLSAP: Yeah. It's kind of lifted from Greek mythology and spun around a little bit. BLOCK: Yeah. Where did it come? What were you thinking about? MILLSAP: I kind of starting reading into Greek mythology, and I was kind of fascinated by the story of Hades and Persephone and how that came to be. And it's, you know, all right, sit down and try to write a song about it. BLOCK: I mentioned that you were raised in the Pentecostal church. You were young, I think, when your parents decided to join that church. What was it like? What was going to church like for you? MILLSAP: It was just part of life. Yeah - it was just - it's what you do. And for me, it's where so much of my memories of music come from. I, you know, played guitar in church from the time I could play three chords. You know, I was down in the front. I wasn't plugged into the speakers. MILLSAP: But they would let me sit down there and, you know, learn the chords to the songs. And through that, you know, singing hymnal and stuff, I was really introduced to the folk process because the hymns and the things that we were singing were old songs that dead people had wrote. You know, I got comfortable (laughter) with that idea pretty early on and how songs evolve, you know. BLOCK: Was there music in the home? MILLSAP: Oh, always music at home. My parents are both avid music listeners, and through them, I found old blues. And that really kind of brought it all back home to me because, to me, it sounded so much like gospel music that I was singing on Sundays. But it was about the devil instead, you know. MILLSAP: (Singing) Sun comes up too early, that the way it seem. I left the curtains open. Curtain's closing on my dreams. BLOCK: I wonder if your experience growing up and making music in church - if it unleashed you in your singing. Did it free you in some way? MILLSAP: Yeah. Yeah, in a sense - when you're singing in a congregation, you're not so self-conscious. You're just singing. And when you're singing in a congregation at church, the reasons that you're singing are kind of different, you know. You're not singing to impress somebody. You're not singing to win "American Idol." MILLSAP: You're singing as a spiritual thing. And so there was always that connection for me that music is spiritual. And it's, you know, there's something about it that's sacred, even, you know, when it's not a sacred song. So I think it had a lot do with that - just the not being self-conscious while you're singing. MILLSAP: I just go for. BLOCK: You just go for it. MILLSAP: (Laughter) Nobody's going to sue you. MILLSAP: (Singing) When you wake up, you feel like burnt-up fuse. Come on, let's lose these morning blues. And when you feel that on stage - when you go for it and then you hit it or you almost hit it and then people respond, there's nothing quite like that. BLOCK: You mentioned discovering old blues songs, and you do a cover of an old blues song, "You Gotta Move." MILLSAP: (Singing) You gotta move. You gotta move. You gotta move, child. You got to move. Yes, when love gets ready, you gotta move. BLOCK: Why that one? How'd you choose that one? MILLSAP: Thematically, I think it fits. It's kind of dark. It has to do with kind of this pull between good and evil, which I fell like there are a lot of things on the record that kind of have that feeling - "Hades Pleads." And which one's good, and which one's evil? BLOCK: You've separated from the Pentecostal church, and still there are lots of themes of faith and the Lord and the Bible that are all through these songs. And I'm thinking, in particular, of the last song on the album "Tribulation Hymn." MILLSAP: (Singing) It was just like the lightning flashes these two words, just like an oncoming storm. It was just like a coffin, the hollow in my chest, just like the Bible, just like I'd been warned. The idea for that song is just kind of - the same premise of that book series "Left Behind" (laughter). BLOCK: "Left Behind" - is that, like, the rapture? MILLSAP: Yeah, kind of, according to the Bible, what's going to happen after the rapture occurs. And, you know, everybody who was saved goes to heaven. The song's (laughter) kind of a take on that. MILLSAP: (Singing) He came for my sister. She walked a narrow trail. She'd follow wherever he'd lead. But I took the highway. I faltered, and I fell. He came for my sister, but he did not come for me. For a long time, I really was - I was really concerned about that. You know, I would be at my house on a weekend or something and then I'd walk through the house. And everybody would be outside, but it wouldn't hit me that way at first. You know, they'd be, like, folding laundry, so there'd be, like, some laundry sitting on the table. And I would think like, oh, the rapture happened and their clothes are left behind on the table (laughter) because they were folding laundry, when really everybody was just outside, like, you know, talking to the neighbors or something like that. MILLSAP: (Laughter) It was a very real fear I had as a child. BLOCK: You're still really young. You're 23, as I said. MILLSAP: That ain't that young (laughter). BLOCK: ...That's a path that I can see myself on. MILLSAP: I have strange heroes. My answer to this question, career-wise, is always Howlin' Wolf because he taught himself to read and taught himself to manage and taught himself how to do all these things while being a performer and songwriter on top of all of it. He's a real do-it-yourself kind of guy, and I always admired that. And he made great music. BLOCK: That's Parker Millsap. His new album is titled "The Very Last Day." MILLSAP: Thank you so much, Melissa. MILLSAP: (Singing) Put your hands up. Put your hands up. Put your hands up. Put your hands up, up, up. BLOCK: This is WEEKEND EDITION from NPR News. BJ Leiderman wrote our theme music. Scott Simon returns next week. I'm Melissa Block. MILLSAP: (Singing) In a church, sat in the very last pew - the preacher said Jesus would save my soul, but he never showed up. And we're out of control, and a bomb went off and everyone's pointing at me. Transcript provided by NPR, Copyright NPR. "It's not the end of the world" is a thing people say to place inconveniences in perspective, a reminder that a rush-hour fender bender doesn't belong to the same category of catastrophe as nuclear or biblical apocalypse. 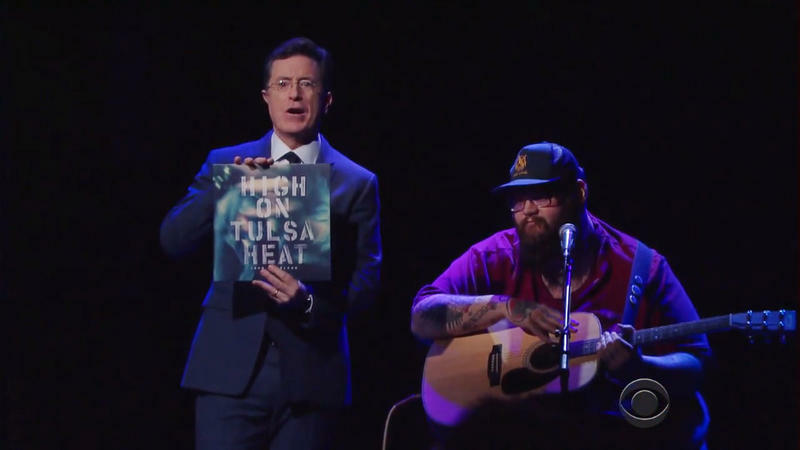 Last night, the rest of America got to see what we've known here in Oklahoma for years: John Moreland will move you. The Tulsa musician's powerful lyrics, skillful fingerpicking, and gravelly vocal delivery collectively have the ability to turn you into a puddle of tears. And, you'll come running back for more. Rolling Stone called it "an emotionally riveting performance."